In honor of the upcoming Thanksgiving meal prep, I thought it would be fun to tackle a DIY apron. Even better- it’s completely no-sew (unless you want to sew in which case I say have at it...show off). 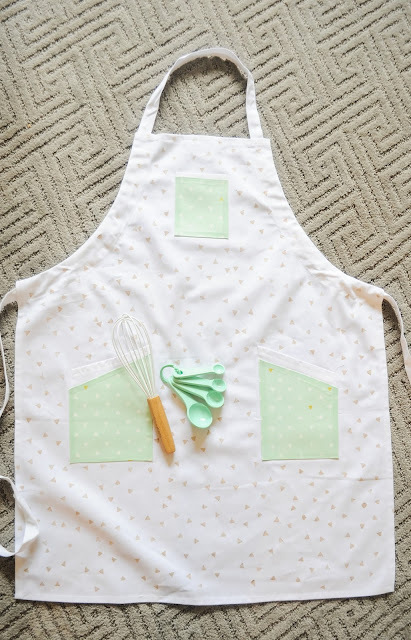 This fun apron features accent fabric and hand stamping. Side note: this is a great way to use up those fabric scraps. Optional: Fabric scraps (I used this amazing fabric). 1. 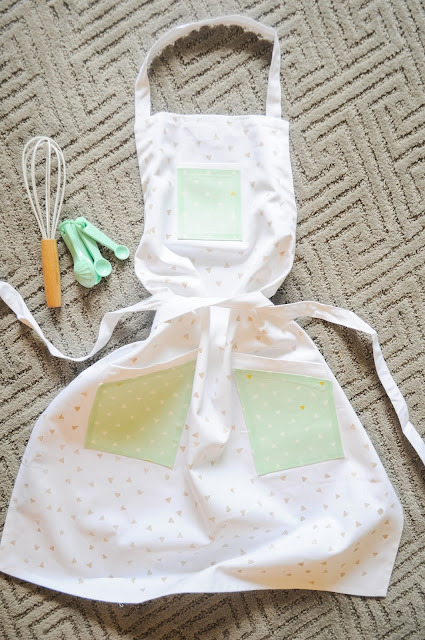 Measure and cut your fabric to match pockets on your apron. Make sure to leave a 3/8 inch seam allowance to match your hem tape width. 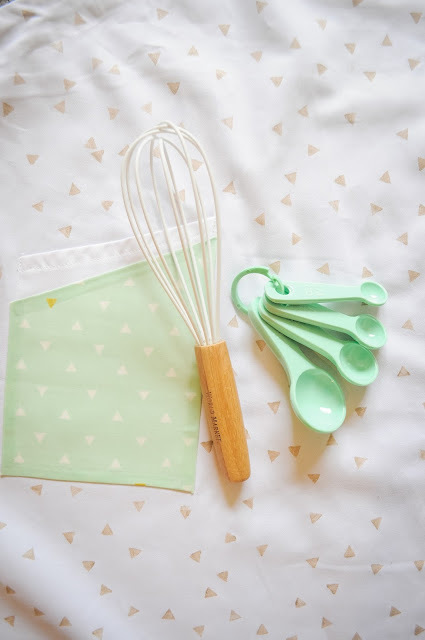 Note: If your apron doesn’t have pockets you could always add the fabric as faux pockets or you could skip this step altogether. It’s the most time consuming part. Another Note: you’ll notice in the photos I didn’t cover the pockets fully. That was mostly because I didn’t have enough fabric to do so- you can do it either way. It’s a judgment call people. 2. Hem all your pocket accents with the hem tape. The price of “no-sew” is time. 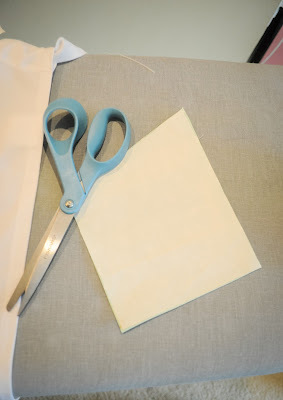 It takes a bit longer to do it this way but it’s easy and doesn’t require any sewing skills. 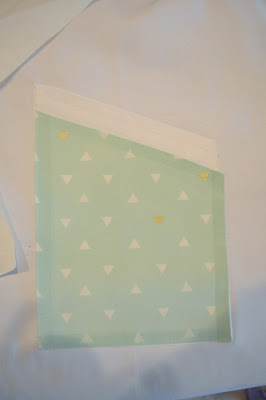 This hem tape is quicker/easier but the other is what I had on hand. 3. Use your heat-n-bond to attach your accent fabric to your pockets. (Follow the instructions on the heat-n-bond packaging). 4. 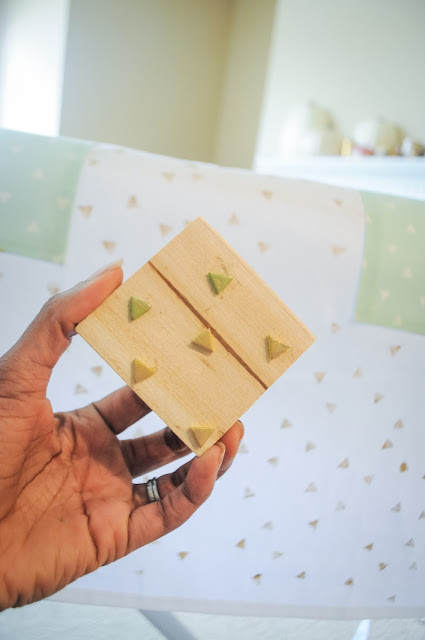 Attach your foam pieces to your wood block. They stick well so make sure you plan out placement. 5. 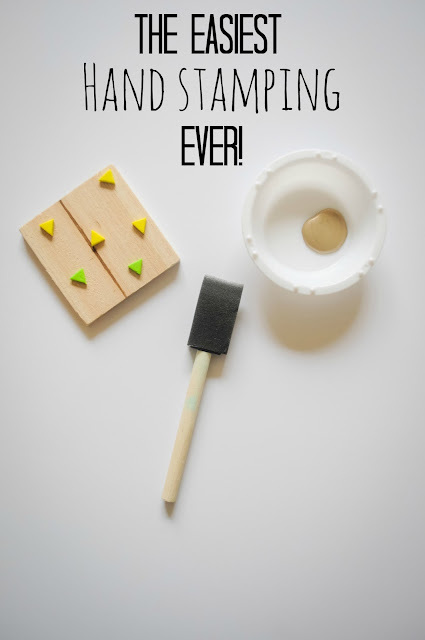 Paint the foam pieces using a foam brush. Be careful not to use too much paint so that your shapes are precise. It might take a few stamps to get the amount of paint right so start somewhere inconspicuous or use scrap fabric to do a few test stamps. something. 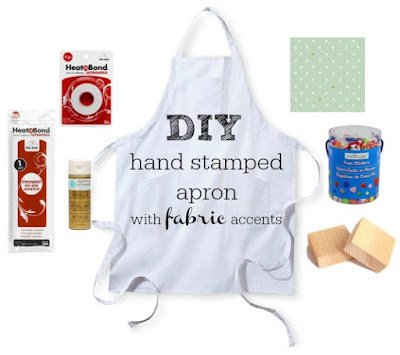 Finally, Keep stamping until your apron is covered. That’s it! You now have a beautiful and unique hand stamped apron. Now go bake a pie. Or just buy one and take a selfie holding it in your DIY apron. I won't tell. 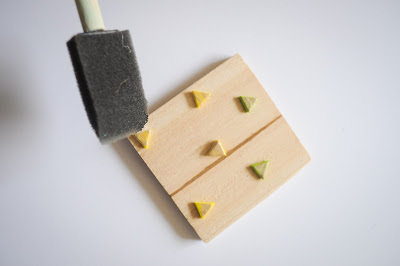 The adhesive foam pieces + wooden block is a pretty genius idea which I saw here first.